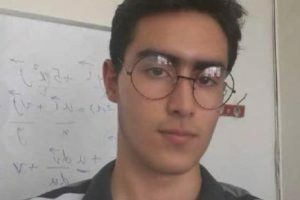 According to the “No to the Persecution and Imprisonment of Baha’i Citizens” campaign, Huzan Gholizadeh, a Baha’i citizen of Sari who had successfully passed the entrance exams to the Agricultural Sciences University in Sari, was refused registration by the University authorities because of her religion. She states, “After studying diligently for 12 years I graduated successfully, and with high hopes and aspirations participated in and passed the entrance exams in the field of agricultural engineering at the Agricultural and Natural Resources University of Sari. On 14 September 2015, accompanied by my mother, with boundless joy and anticipation I went to the University with the requisite documents to register. After waiting my turn in line, my name was called and I was sent upstairs, unaccompanied, to the Security Office. There, I was given a form to fill out for insertion in my file. As usual, the form included a religion column. According to the principles I had been taught, in complete honesty and truthfulness I put down “Baha’i”. When I handed the form back to the Director of Security, I detected a hesitant look on his face. He led me to another room and informed me in a cold voice that I did not qualify for higher education. What an insulting statement! I asked why was I not qualified? Do I have a moral or behavioral shortcoming that I am not aware of? 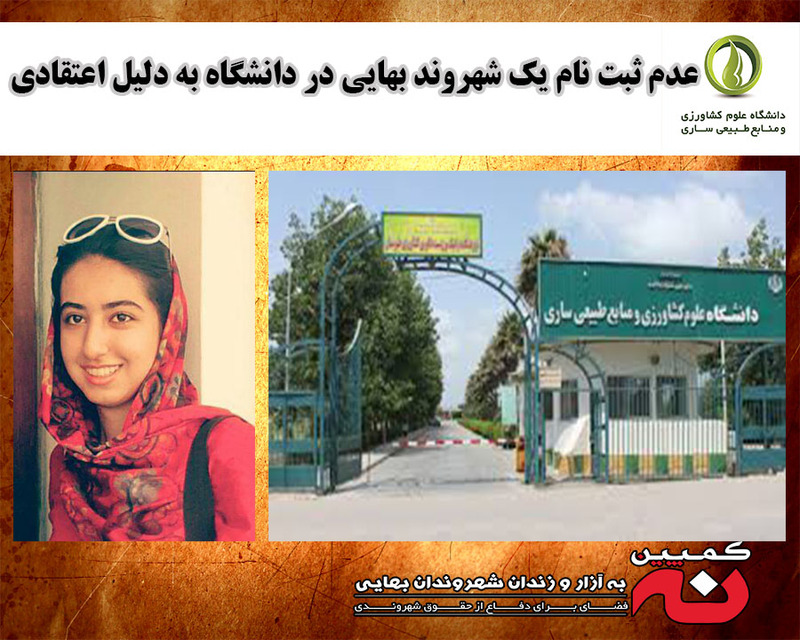 He replied, you know very well that you cannot continue your education because you are a Baha’i. 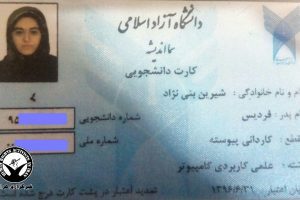 I asked, am I not an Iranian citizen? Do I not have any rights as a citizen? Why should I be deprived of higher education because of my beliefs? I have a citizen’s right to education. After half an hour of waiting in another room they informed me that my application had been rejected by the National Educational Testing Organization and that I did not have the right to apply to the University. Go home! Whatever my beliefs and ideology, as a human being, I wanted and continue to want to be of service to my beloved country by educating myself. Is it a crime to serve my countrymen? 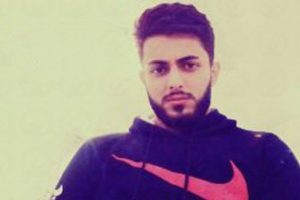 I know that my story is one among thousands of similar stories across Iran, but does the government of Iran think that these policies will extinguish my great desire and motivation for learning? Every time you cut me down a new shoot grows out.